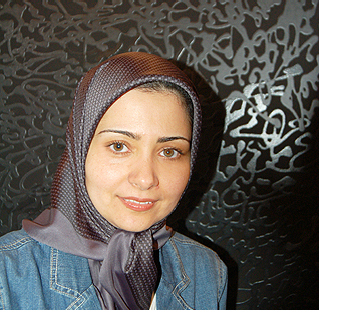 Soheila K. Esfahani grew up in Tehran, Iran, and moved to Canada in 1992. She received her Master of Fine Arts degree from the University of Western Ontario and her BA in Fine Arts from the University of Waterloo. She is an award-winning visual artist and recipient of numerous grants from the Canada Council for the Arts, the Social Sciences & Humanities Research Council of Canada, the Ontario Arts Council, and the Region of Waterloo Arts Fund. She is a recipient of 2016 Waterloo Region Arts Awards (Visual Arts category) and was nominated for the Jameel Prize at the Victoria & Albert Museum in London, UK in 2015. Her work has been exhibited across Canada from Vancouver to Halifax and collected by various public and private institutions, including the Canada Council’s Art Bank. Currently, she is a lecturer at the University of Waterloo and is a member of the Red Head Gallery in Toronto. Esfahani’s recent art practice navigates the terrains of cultural translation and explores the processes involved in cultural transfer and transformation. Her installations focus on the translation in its etymological meaning as the process of ‘carrying across’ or ‘bringing across’ and Homi Bhabha’s notion of the Third Space as a site for cultural translation. Soheila would like to thank the Canada Council for the Arts and the Ontario Arts Council for their generous support of her artistic practice. to receive updates on her upcoming projects and exhibitions.